Don’t be fooled by the name. As you may agree – soy paper – at least when paired with the word “dessert” sounds, well, pretty gross. But, good news folks – it’s not what it sounds to be. 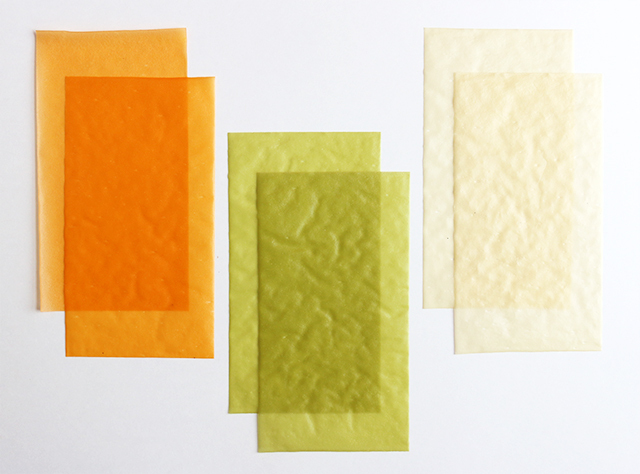 Soy paper, which you can find on Amazon (or Asian grocery stores) is sold in thin, gluten free sheets – and best of all, those sheets also come in fun colors. While these wrappers are typically used with rice for sushi and vegetable wraps, they can also just as easily be used with desserts. The soy has little flavor and when placed on buttercream, the flavors of the buttercream mask the soy flavor. 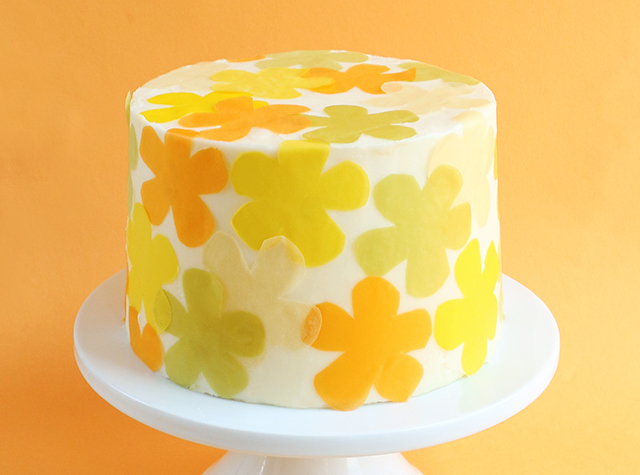 Decorating with soy paper is an easy and fun way to add colorful touches to cakes and cupcakes. And since the colors of the wrappers are made from natural extracts (i.e. paprika, turmeric, and spinach extracts), the sheets don’t contain any preservatives and are a much healthier, safer alternative for adding color to cakes. 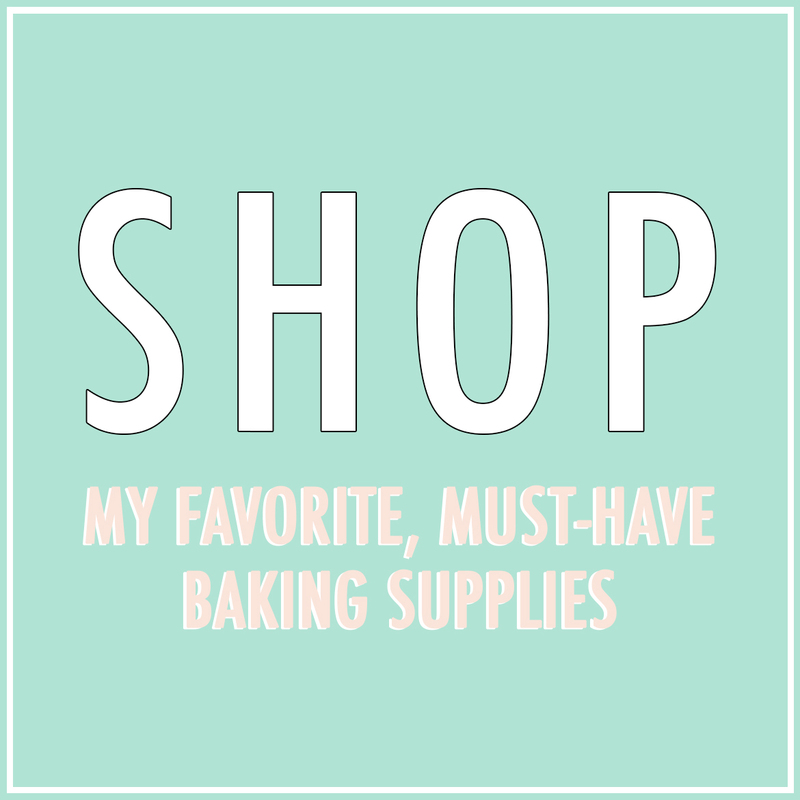 For the DIY portion of this post all you will need are some small scissors, a few soy wrapper sheets, and a buttercream coated cake or cupcakes. Once you have your dessert of choice frosted (and the buttercream is still soft), cut out shapes from the soy paper. 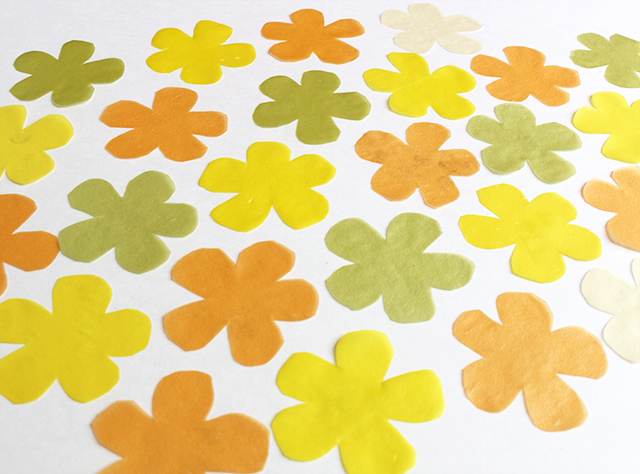 Next, place each cutout on your cake, using your fingertip to firmly press the soy paper into the buttercream. 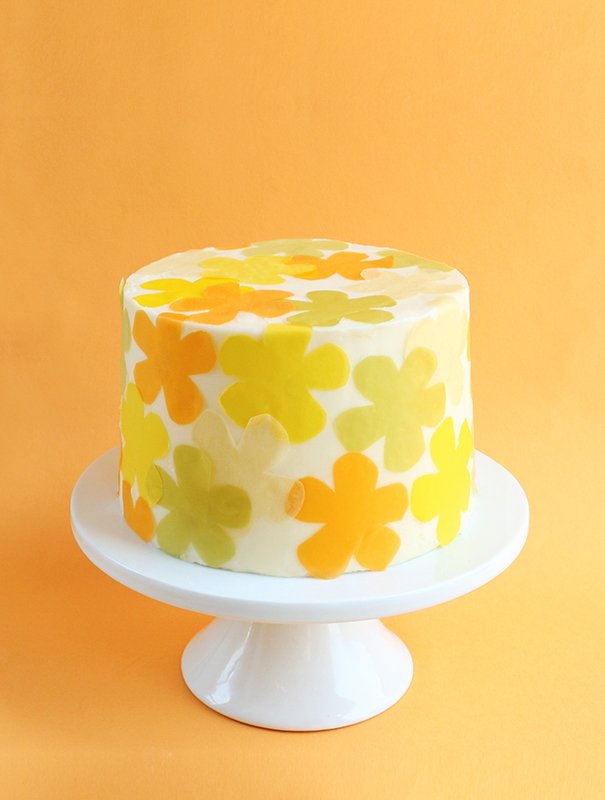 [Note: You may find some wrinkles in the paper after a few minutes on the buttercream – if so, just go over the soy paper a second time with your fingertip.] Once all of the cutouts have been added to the cake, it’s ready to serve. 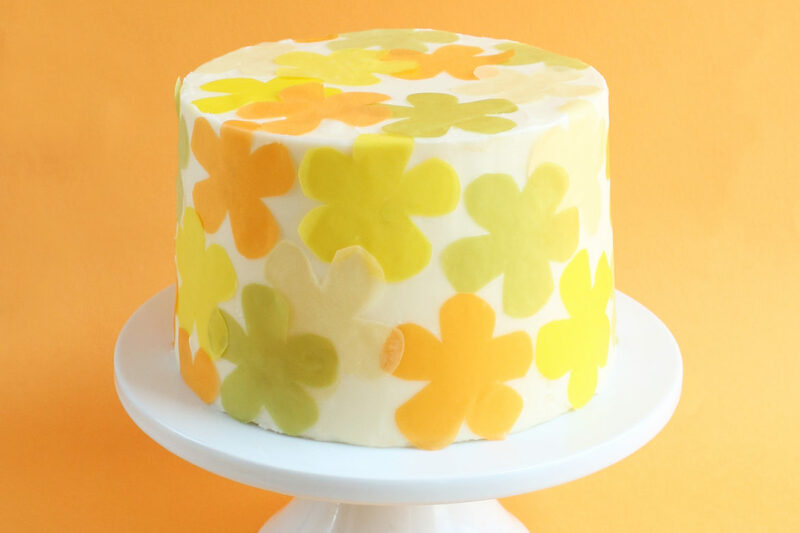 If you plan on sticking the cake back in the refrigerator for a while, make sure there are no edges of the cutouts sticking out from the buttercream, as any piece of the paper that isn’t adhered to the buttercream will harden once the cake is placed back into the refrigerator.